Sun & moon, warm & cold, day & night, contraction & stretch, it is all about balance. Yin and Yang complement each other. Where Yang is more the masculine, powerful, dynamic side, Yin stands for a mild, darker, softer side. Therefor I teach both Yin and Yang orientated Yoga Styles. Below you will find an explanation of the different styles I offer. However there will always be Yin elements in the Yang practise and Yang elements in the Yin practise. In the Hatha Yoga practice the focus is on loosening and strengthening the body. It is a static practice, rather than a flowing one, and there is always time for relaxation between different postures. Regulating the breath plays an important role in the practice in order to stabilize it. The Hatha Yoga practice will calm down and quiet your mind. After the practice you will feel peaceful, open and strong. It is a mild practice so it is a great style for people who are new to yoga. The practice of Flow Yoga focusses on moving slowly through a sequence of postures. Slowing the body down, becoming aware of body movements, this is a dynamic style in which movement and breath are connected. The classes are built around a theme, which can be both physically and spiritually oriented. Therefore the sequences will be different each time, although there will be some core elements in every practice. It will include a warm-up, standing postures, balancing postures, backbends, forward bends, twists, inversions, relaxation and meditation. Yin Yoga is a meditative form of yoga, where the focus lies on conscious movement, awareness and inner silence. It is a mindful practice that improves energy and the body’s flexibility. Yin and Yang are part of everything and part of each other. 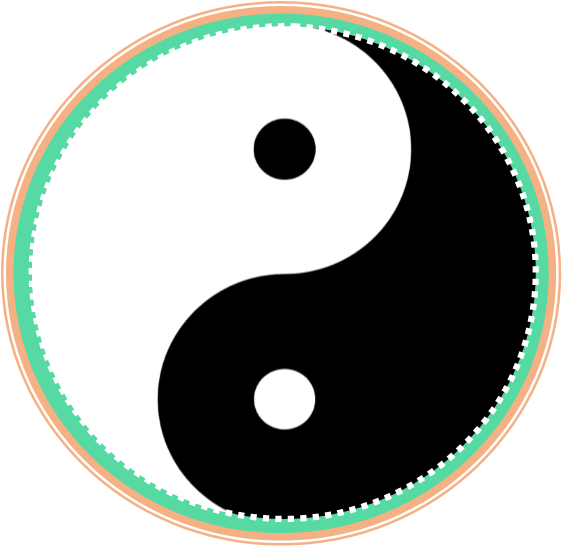 When we are looking for balance, we are looking for the balance between Yin and Yang. Yin and Yang also exist within our bodies. Our muscles are Yang tissues, while our ligaments, joints and bones are Yin tissues. The Yin Yoga practice is focused on those tissues that are Yin. The postures are held for a long period of time (usually for 3 to 5 minutes or longer), which activates the deep connective tissues. Since the muscles are not stressed in these postures it is possible to go deeper and work on the tissues of our ligaments, joints, deep facial networks and bones. These tissues are less elastic than the muscles (you might think of them like plastic which can break quite easily) and therefore require slower movements. By working on these tissues, however, they can become more flexible over time and this will increase the flexibility of the body overall. Aside from the physical benefits, the Yin Yoga practice also works on the meridians of our energetic body and stimulates the organs. It releases blockages to the energy centres of the body and it improves the life force or the energy in the body. Most of the postures are performed sitting or lying on the floor. The practice comes to an end with a final relaxation in Shavasana. Yin yoga is the opposite of Yang Yoga, which is most common within our western society. It can be taught by itself as a full session or can be integrated within a class in combination with Yang Yoga. Yin and Yang complement each other. Yin Yoga will increase the flexibility of the body, which will positively impact the Yang practice as well.